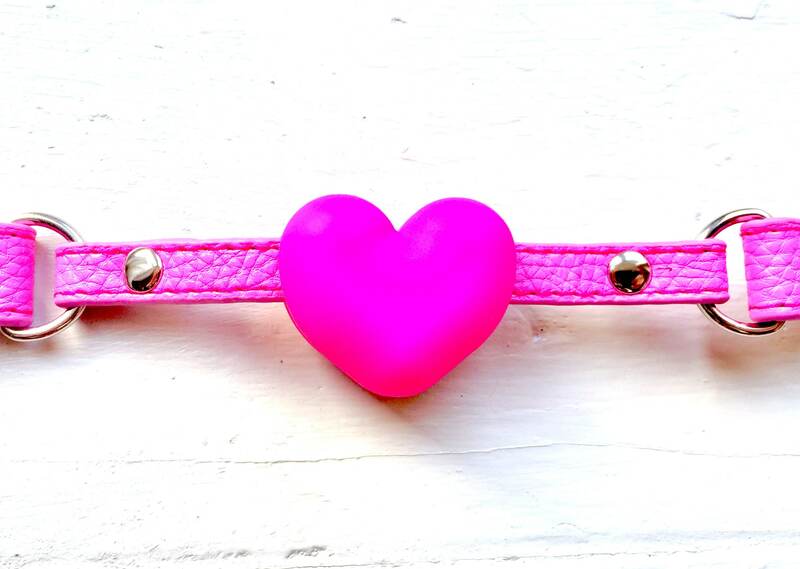 A vegan leather choker and gag with a delicate and smooth silicon heart to bite down on. 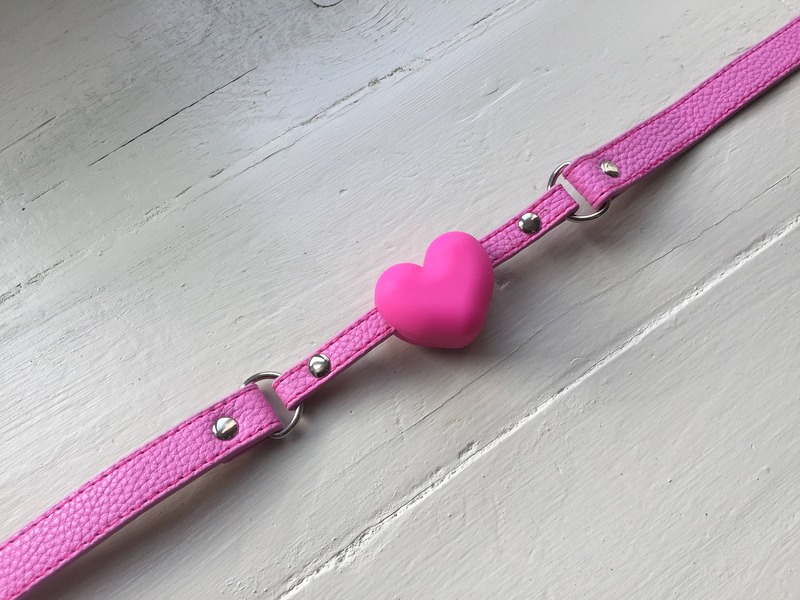 This is a best selling gag that is easy to use and wear and is available in both pink and black. 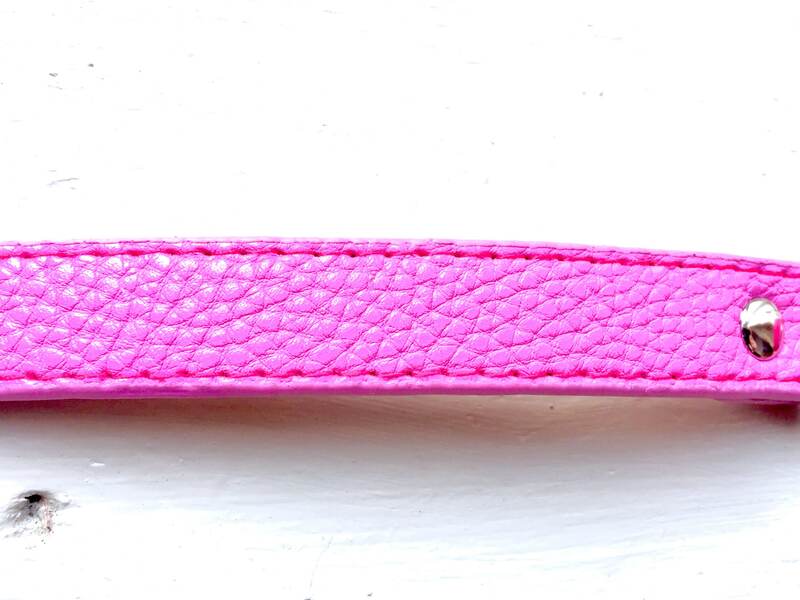 All items come gift wrapped with a res satin bow and optional note. Hello! So nice to meet you at LBB yesterday. This is a perfect size and very nicely designed.